As much newer organizations fade into history, and their good works become distant memories, NARHA is still going strong in its 40th year. 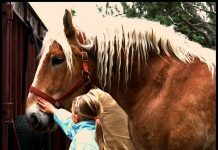 Since 1969, NARHA has provided Equine Assisted Activity and Therapy (EAAT) programs in the United States and Canada through its network of nearly 800 member centers. Each year, dozens of new centers initiate new programs and more than 42,000 individuals with special needs benefit from activities which include therapeutic riding, hippotherapy, equine facilitated psychotherapy, equine facilitated learning, driving, interactive vaulting and competition. Headquartered in Denver, Colorado, NARHA’s mission is to “change and enrich lives by promoting excellence in equine assisted activities.” To accomplish this mission, NARHA fosters safe, professional, ethical and therapeutic equine activities through education, communication, research and standards. The association ensures its standards are met through an accreditation process for centers and a certification process for instructors. The therapeutic value of horseback riding goes back centuries although the origin of organized therapeutic riding is relatively recently. The achievements of Lis Hartel of Denmark are generally regarded as the impetus for the formation of therapeutic riding centers in Europe. Polio impaired Hartel’s mobility but not her spirit. In 1952, she won the silver medal for Grand Prix dressage at the Helsinki Olympics. 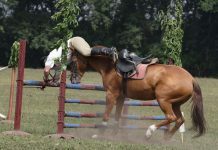 Medical and equine professionals took notice and soon centers for therapeutic riding sprang up in Europe. Canadians and Americans studied what was happening in Europe and quickly made plans to start centers. Two of the first were the Community Association of Riding for the Disabled (CARD) in Toronto, Ontario, organized by J.J. Bauer and Dr. R.E. Renaud, and the Cheff Center for the Handicapped in Augusta, Michigan, with Lida McCowan as executive director. 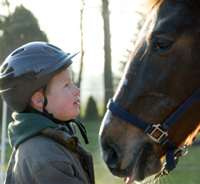 Recognizing the need for an organization to act as a clearinghouse for information on therapeutic riding, 23 individuals gathered at the Red Fox Inn in Middleberg, Virginia on November 2, 1969, and laid the groundwork for the North American Riding for the Handicapped Association, which is now known as NARHA. Today, many medical professionals, including the American Physical Therapy Association and the American Occupational Therapy Association, recognize the therapeutic value of equine assisted activities. This is a neat organization!